If you’re tired of trying and failing on one fad diet after another, it may be time to consult the professionals at Dr. Urshan’s weight clinic. We’ve worked with hundreds of patients who were serious about shedding unwanted body fat for good, transforming their physique and overall health. 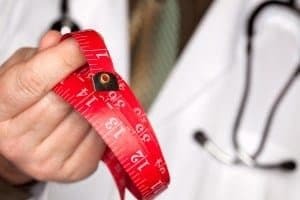 Our unique physicians weight loss system has been proven to torch stubborn fat and reveal big results in just 40 days*. Dr. Urshan’s one of a kind physicians weight loss program resets your body’s natural desire to use stored fat as fuel to effectively and safely torch unwanted stubborn weight*. What this program doesn’t do is require the purchase or continued use of common diet gimmicks or strict workout plans. Unlike other weight clinic systems, our breakthrough technology is individualized to focus on the root cause of weight gain, which is hormonal imbalances and increased fat storage. By addressing the root cause of weight gain and the inability to drop unwanted pounds, fat loss becomes an easier, more natural task for the body to achieve*. No matter what your weight loss or management goals may be, selecting the best weight clinic for your needs is critical to your overall health and wellness success. We’ve helped those in St. Petersburg, Clearwater, Palm Harbor, and surrounding cities positively transform their bodies and lives. Schedule a consultation with Dr. Urshan today to get on the fast track to healthy weight loss.